1. 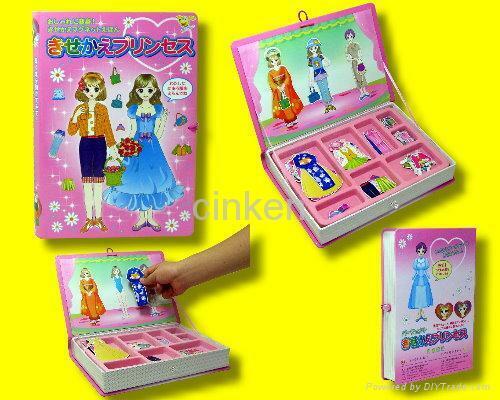 The toy with 3 dolls and 55 clothing fittings for children to dress up the princesses. 2. More shoes,bags and hats bring a larger range of choices to go with the suit.